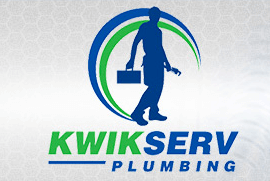 Kwik Serv Plumbing is the number one choice to make for residential and commercial plumbing services in and around the Northwest Chicago Suburb area. We provide the finest in workmanship from the moment our technicians arrive at your home to professionally address your service needs. We never cut corners or provide shoddy work; your job will be handled right the first time, with long term results. We got our beginning because the owner, a general contractor, was frustrated with trying to find plumbing or heating installers with the proper credentials like licensing, promptness, reliability, unprepared and all around unprofessional. With over 25 years of experience in the industry, Jerry Solan decided to utilize this expertise to build the company and in 2015 he partnered with one of the best sub-contractors he has worked with in order to form Kwik Serv Plumbing. Our Service Guarantee – Within the first year of completing the job, if you are not 100% satisfied, we will do what it takes to correct the situation. Customer Service Guarantee – We demonstrate our Pledge to Exceptional Customer Service in a number of ways, such as asking permission before gaining access to any rooms and wearing shoe covers and cleaning up after the job. We also explain to you the options that you have and, if any of these are not carried out, you simply give us a call. No Sticker Shock / Pricing Guarantee – We will offer you our professional diagnosis and sign and approve estimate so that you know what the job will cost – even if the job ends up requiring more work. If you decide to decline the suggested repairs, then you only need cover the cost of the Diagnostic Charge. Part and Labor Warranty – All covered repairs during the warranty period will be free of charge, all you need is to provide your original receipt for the technician. Equipment Size Guarantee – When we replace your furnace, boiler, air conditioner, water heater or new duct work, we are responsible for determining the correct equipment size for installation. If this does not happen, we will rectify the situation, at no cost to you. Some restrictions apply, see store for details. Lifetime Installation Materials Warranty – All materials needed for installation are warranted for the life of the equipment, as long as you are the original homeowner and purchaser. Exclusive “No Lemon” Guarantee – We work with the best manufacturers, but realize that every once in a while a defect can occur. We stand behind what we do which is why we offer the No Lemon Guarantee. If a part fails within the first five years, we will take care of replacement at no cost to you; contact us to find out which parts are included and restrictions that may apply. All we ask is that you allow us to conduct semi-annual system maintenance, at owners expense, in order to monitor the condition of the system. You Don’t Want to Get Stuck Without a Sump Pump in Buffalo Grove During Heavy Rains!